On 18th June 2015 the Rt. 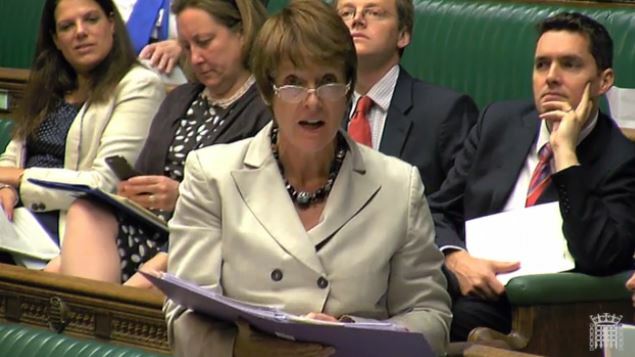 Hon Caroline Spelman MP answered questions from MPs as Second Church Estates Commissioner. Mrs Spelman, who was answering questions for the first time since taking on the role, was asked about improving the sustainability of church buildings, Christians in Iran, the wellbeing of clergy and the diversity of the General Synod of the Church of England. Mrs Spelman also paid tribute to the former Second Church Estates Commissioner the Rt. Hon Sir Tony Baldry and expressed sympathy for the Methodist Church in South Carolina following the recent tragic shootings. Mr Speaker: I welcome the right hon. Lady to her new responsibilities. 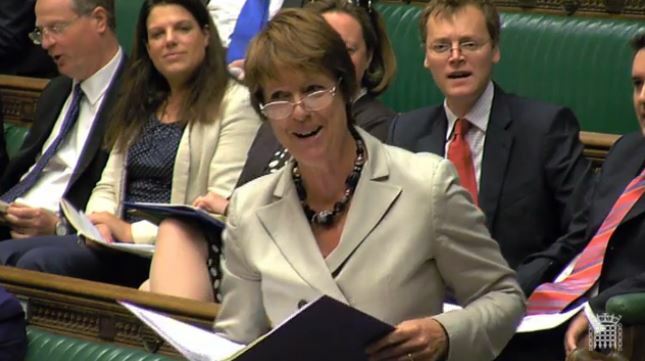 Mrs Spelman: Thank you, Mr Speaker. Of course we must briefly pay tribute to my predecessor, who fulfilled this role with great aplomb and will be for ever remembered as enabling the legislation on women bishops. The Church faces a great challenge in terms of its sustainability, particularly in rural areas. The Church Commissioners will be helping to support those churches that want to come back to the heart of the community by opening their doors to a wide range of uses that serve the community. Andrew Stephenson: May I join you in paying tribute to my right hon. Friend and welcoming her to her new role, Mr Speaker? Brierfield Methodist church recently secured much-needed Heritage Lottery funding support for roof and masonry renovations, but Nelson United Reformed church is having to close next month, after 150 years of worship. Will my right hon. Friend set out how she will work with the Heritage Lottery Fund and other bodies to help preserve the church buildings, for which the Church Commissioners are responsible? Mrs Spelman: My hon. Friend has just mentioned the Methodist Church and I am sure you would agree that it is right that we should all record our sympathy to the Methodist Church in South Carolina, which has suffered a terrible shooting tragedy. I intend to work very actively with the Heritage Lottery Fund, which dedicates about £25 million a year to essential repairs for all listed places of worship. Given the urgency of my hon. Friend’s specific case, I suggest we work on it together immediately. Michael Tomlinson (Mid Dorset and North Poole) (Con): Last winter, the church of St Mary’s in Lytchett Matravers was shut due to a lack of heating, and parish churches across Dorset struggle to meet both their parish share and to ensure that their buildings remain open. What plans does the Church Commissioner have to provide support for churches such as St Mary’s in Lytchett Matravers to ensure that they remain open, and will she meet me to discuss the matter? Mrs Spelman: A total of 250 churches have managed to install renewable energy facilities. The Church offers a church care support system to help parishes make changes and modifications to their heating systems to bring down the costs of heating. I suggest that we work closely together with this specific example and see what can be done. The Second Church Estates Commissioner (Mrs Caroline Spelman): The Church of England is aware of the plight of the Christian community in Iran and works closely with the Bishop of Cyprus and the Gulf, the right Reverend Michael Lewis, and the Bishop of Iran, the Right Reverend Azad Marshall, to give support where it can. 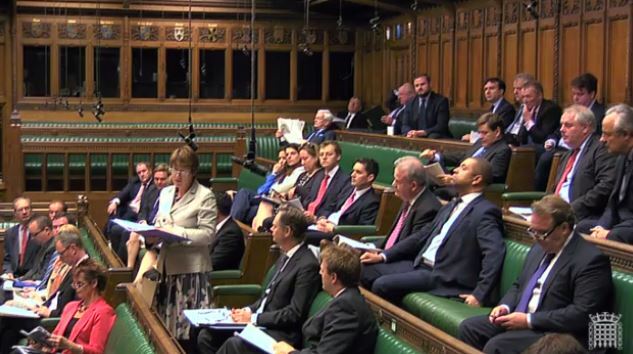 Fiona Bruce: The recent report on the persecution of Christians in Iran by Christians in Parliament with the all-party group on religious freedom and belief recounts serious neglect of human rights of Christians in Iran. Surveillance, arbitrary arrests, lashings, torture and severe prison sentences are common. What steps is the Church taking to encourage respect and tolerance for Christians and for those of other minority faiths in Iran and elsewhere in the middle east? Mrs Spelman: I congratulate my hon. Friend on the report produced by the APPG. I attended the meeting at which some of those recommendations were put to a Foreign Office Minister yesterday. The Archbishop of Canterbury invited the Grand Imam of al-Azhar to both Houses of Parliament to express encouragement to religious and political leaders to speak out in support of moderate voices in the region. Fiona Mactaggart (Slough) (Lab): May I echo the remarks made by the hon. 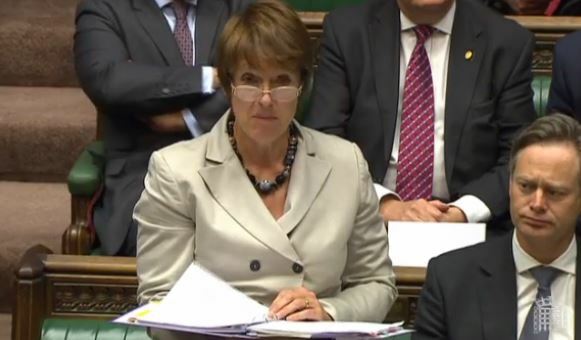 Member for Congleton (Fiona Bruce)? It seems to me that one’s right to faith and freedom of religion are fundamental human rights and I am concerned that within the Christian faith, Christian leaders need to do more to educate those who come to worship on a Sunday and do not know that others are denied that right. Mrs Spelman: The hon. Lady makes an important point. It is important for people of all faiths to encourage one another in a spirit of tolerance. The Grand Imam made the point that the message of Islam and Christianity is enough to build the bridge of continuous understanding. That is what he said in this place. Jim Shannon (Strangford) (DUP): In 2014, 75 Christians were arrested for their faith, physically and mentally abused, and threatened with execution. What representation has the Church made on behalf of those 75 Christians? Mrs Spelman: The Church works closely in tandem with the Foreign Office to put diplomatic pressure on countries in which there is abuse of religious freedom. I know that the hon. Gentleman was present at the APPG yesterday and he will have heard the Foreign Office Minister give us encouragement to work together on this. The Second Church Estates Commissioner (Mrs Caroline Spelman): The Church of England seeks to support its clergy and their families and dependants through their challenging roles ministering to parishes. This support includes, but is not limited to, housing, pensions and continual training. Rachael Maskell: The demanding responsibilities of clergy in the Church and across civic society is having a serious impact on their physical and mental health. In the light of their office holder employment status, what commitments can the Church Commissioners give to improving their duty of care to clergy? Mrs Spelman: Those of us in public life are all aware of the pressures on mental and physical wellbeing, but I acknowledge that is particularly the case for clergy. The hon. Lady worked closely with an important test case on the status of clergy and it is right to take forward the question of their wellbeing. Programmes such as the Arrow programme, provided by the Church Pastoral Aid Society, can assist clergy in making themselves more resilient in these challenging roles. Mrs Spelman: The elections for the General Synod of the Church of England will be taking place during late September to mid October. Any communicant lay person who is on the electoral roll is eligible, so I suggest that we all encourage those who we know who could increase the diversity of Synod to apply. Mr Sheerman: I am encouraged to hear that. I am a lay canon at Wakefield cathedral, and when I go to church most of the people in the church are women, but 65% of the membership of the Synod are men—mainly middle-aged men like me. When are we going to get some leadership to get more women in the Synod? Mrs Spelman: As I just said, one thing we can all do is encourage more women to apply for the elections this year. As an ex officio member of Synod and the first female Second Church Estates Commissioner, I will be doing my bit to diversify the Synod.